I love to going tromping about in old cemeteries. You never know what you’ll find. Here’s a random pic I took back in November. For the record, this headstone is on a steep hill, so it is very possible that gravity took a hand in this rather than vandalism. hahaha! 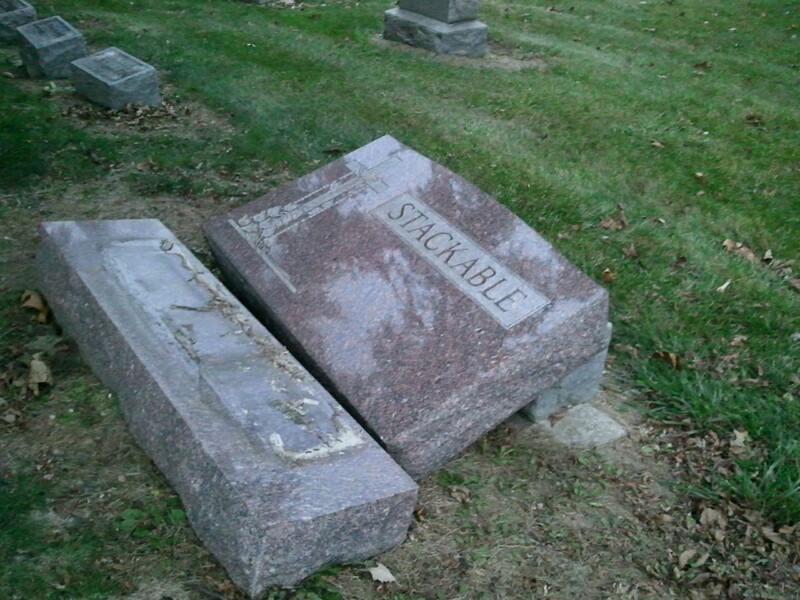 OKay, the fact that “stackables’s” tombstone fell over and so is sort of “stacked” on the block behind it made me chuckle.